Description: Looking for good looking female actors for lead role in an upcoming Hindi serial. Applicant must have good acting skills. Budget will be based on profile. Description: Looking for a good looking female artist as lead role in a Hindi web series. Budget will be based on profile. 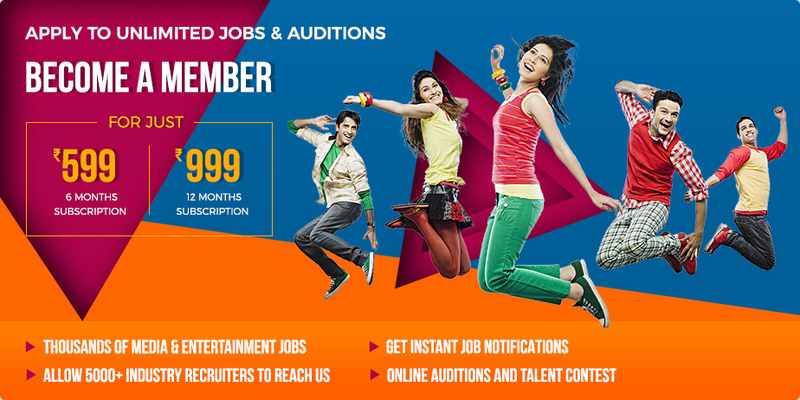 Description: Acting chance for freshers in our upcoming Tamil/Hindi movie, 3rd heroine role and character roles. Description: Required only female artist for Hindi horror movie No bold scene or vulgar dialogues are there in the movie it is a very simple and normal story. Budget will be based on profile.